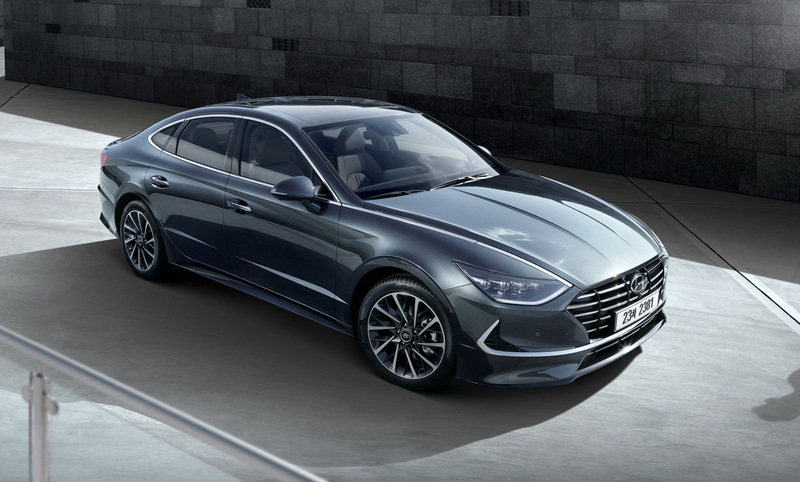 Shortly after the 2020 Hyundai Sonata was revealed ahead of its world premiere at the 2019 New York Auto Show on April 19, the South Korean automaker has confirmed that the new four-door coupe is underpinned by its third-generation vehicle platform. This new platform debuts beneath the bodywork of the Sonata and will be used by future models in the Hyundai range. Hyundai says that its third-generation vehicle platform incorporates a multi-load path structure, ‘Hot Stamping’ and super-high tensile steel plate to ensure it is far superior than the outgoing platform. In terms of safety, the new architecture has improved energy absorption and helps to minimize collision impact into the passenger cabin. In addition, the platform is designed in such a way that the wheels move outward during a small overlap collision to improve passenger safety. This technology also helps to prevent the vehicle from spinning and being involved in potential secondary collisions. Hyundai’s use of Hot Stamping also prevents deformation of the passenger cell. Alongside the improvements in safety provided by the new platform, the underpinnings of the 2020 Hyundai Sonata improve performance. One way the new platform does this is through a system designed to control the flow of air to the engine bay while improving heat dissipation. This system also enhances stability in the lower portion of the vehicle and minimizes air resistance. Hyundai’s third-generation platform is also lighter than its predecessor and has a lower center of gravity. This allows for improved handling. Additionally, the new platform helps the 2020 Sonata achieve improved noise, vibration, and harshness (NVH) performance.